Man braid hairstyles have become very popular these days. Want to sport them too? See how you can get, create, and wear them: ideas for all length are here! Stylish men have found a way to keep their hairstyles immaculate, stylish, and comfortable to wear at the same time. Get to know the men’s braids to find such a way for you! How To Do Braid Hairstyle? Man braid hairstyles have gained a huge popularity among gents with different lifestyles and hair textures. Such hairdos can also be referred to as cornrows, which are primarily popular with guys who have natural hair. 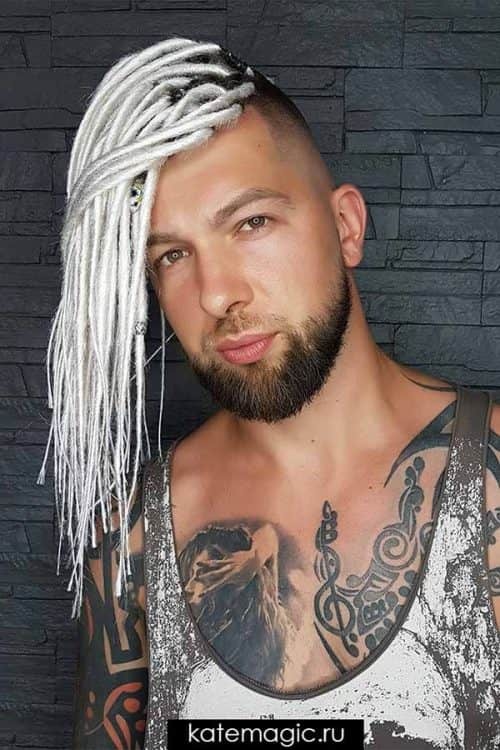 And now, the men’s braids have become more diverse, ruining the stereotype that braiding techniques apply to women’s fashion only. So today many modern guys rock their fades with superb textures and a great feeling of stylishness. 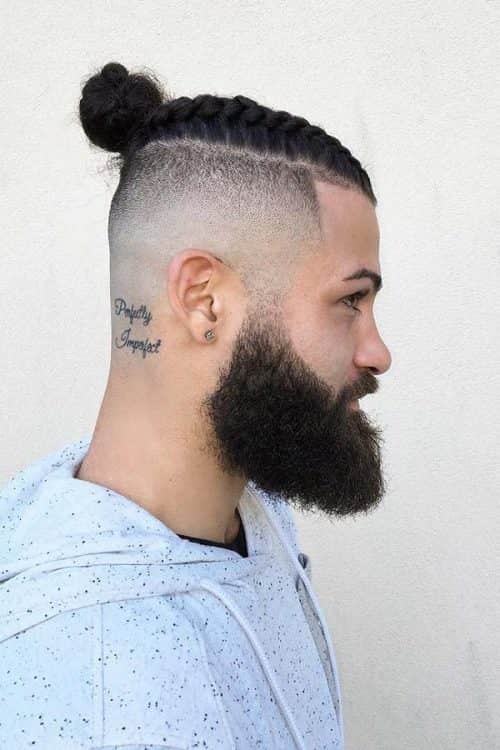 As well as man bun or top knot hairstyles, a man braid is another unique, yet socially acceptable styling trend. With medium-to-long hair length, you can get yourself not only a fancy, manful look but also provide yourself with a super sharp and comfortable-to-wear style. 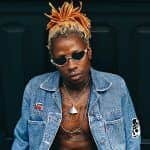 As a growing trend, a braid is one of the men’s long hairstyles have lots of variations and techniques, but the French braid is considered the most length-versatile one. One of the best things about such hairstyles is that they can flatter all face shapes, drawing attention from flaws with their textured silhouette or enhancing some features with minimalist ideas. Your hair length is the most crucial feature. It’s preferable to work with thick and long hair; anything from 3 to 5 inches will be pretty enough. 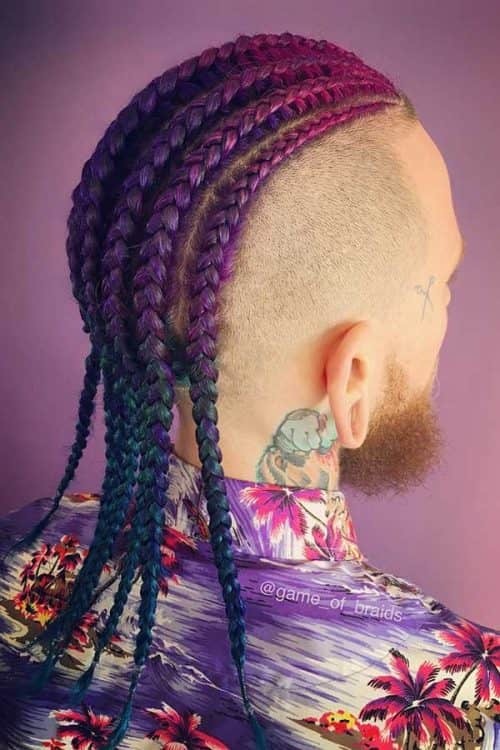 Don’t worry if you don’t have the same length all over the head due to a fade or shaved sides as you can braid just the top, giving it cornrow-like tight braids. Keep in mind that the most fascinating looks of braided hair are achieved with 5-inch hair length, so if you want to get some detailed designs, start growing your hair. Also, make sure that you have a fine comb for parting, a moisturizing gel to keep your braids alive, and hairspray to keep them in place. If you are about to learn how to braid hair, the French braid will be your perfect start. The process may seem tricky to you, but with a little practice you will master braiding and be able to get a man braid hairstyle yourself. Follow the basic steps! For comfortable parting, always work with damp hair. Comb the section that you want to braid. Then, section off the front section of your hair and split it into three strands. Start braiding your hair by crossing the right strand over the middle and then the left strand over the middle one. Pick a new strand from a bit further to the back of your head and incorporate it into your left strand, working with the left side. Then, do the same with the right side. Go on braiding until all of your hair is brought into a braid, and when it’s done, secure it with a tie. There are lots of unique designs and man braid variations. So every man, regardless of his image and age, can get himself a perfect and comfy hairstyle. Since braided hairstyles for men can be as diverse and creative as one wants, we’ve gathered the most iconic and sophisticated ideas that will inspire you for creating your own man braid. Braiding your short hair is extremely hard, yet there are some ways of getting braided short hair men find to be tricky when styling; just choose the right braiding approach. You can opt for very thin braids that go along or under your hairline, securing them with gel so that they won’t fall apart. The undercut, enhanced by a couple of thick braids that fall on cleanly shaved sides is probably one of the most distinctive braids styles. If you’re looking for a way to make your hairstyle stand-out, don’t look any further the idea. Practical, versatile, and outstanding: the man bun braids look that you can have with lots of medium, tight cornrows gathered together. You can wear these braids as they are or put them into a braided man bun that will emphasize the captivating design on the top. How do you like the idea of spicing up your dramatic long hairstyle with a one side braided look? This idea will give a fresh take at the familiar pompadours or long undercuts, just braid one side and see the difference. Meet a fresh and super attractive way to play around with your long hair on top. 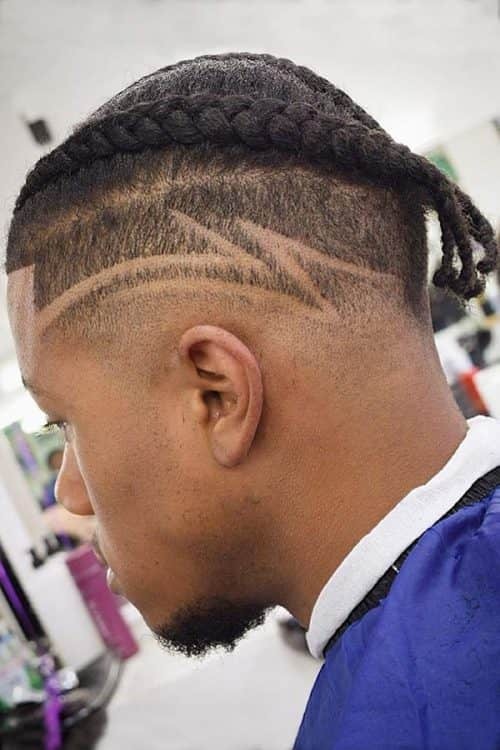 A loose French braid with pulled edges and an extraordinary ombre will show off your incredible sense of style at its best, introducing modern man braid hairstyles in a whole new light. Why don’t you mix all the men’s trends to get a truly irresistible and masculine hairdo? This idea has everything a stylish man would like to wear: a precise texture, a neat fade, the ageless man ban, and a beard. A braid fade haircut is the style precision in its purest! If you’d like to set the focus on the top, top knot braids are a must-try for you. First, start with simple cornrows, choose the parting and the gap between them, and once they reach the very top, twist them tightly into a knot. A fade will look awesome with this contemporary style. Nowadays, instead of opting for simple and low-maintenance cuts and styles, modern gentlemen tend to grow out their hair. If you think that getting more distinctive and masculine looks requires extra long hair length, we’d like to share with you the top man braid hairstyles you can do to tame or emphasize your long and full mane. Wearing a fishtail braid on long hair is one of the simplest ways to show off your strong nature, especially when such Viking braids are accompanied with an undercut and beard. The point is that the style has a Viking-inspired spirit, that’s why it looks so manful. These stand-out colorful braids are here to get you out of your comfort zone and add some colorful boldness to your look. 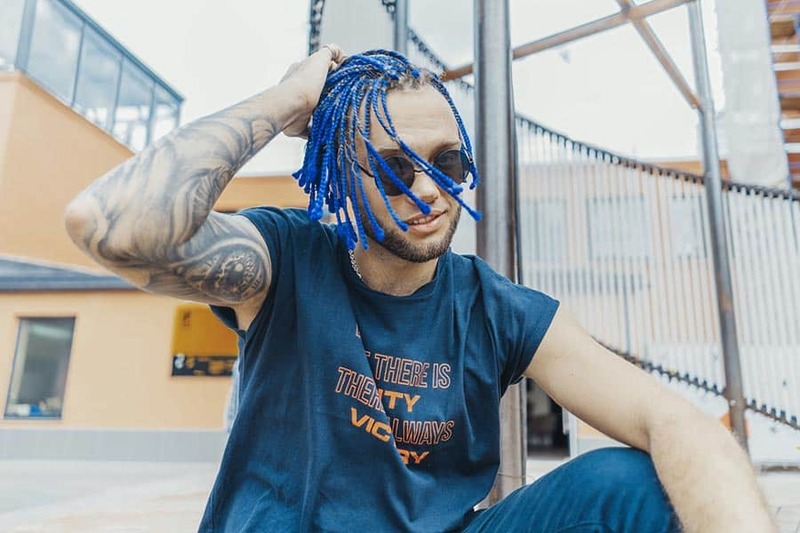 Men who are not afraid to be in the spotlight can accentuate their long cornrows with bright colors, thus making a great statement. You’ve done a great job growing out your long hair, so how about showing it off? A full set of box braids, no matter if they’re thick or thin, will look simply amazing and also will get the most out of your long locks. 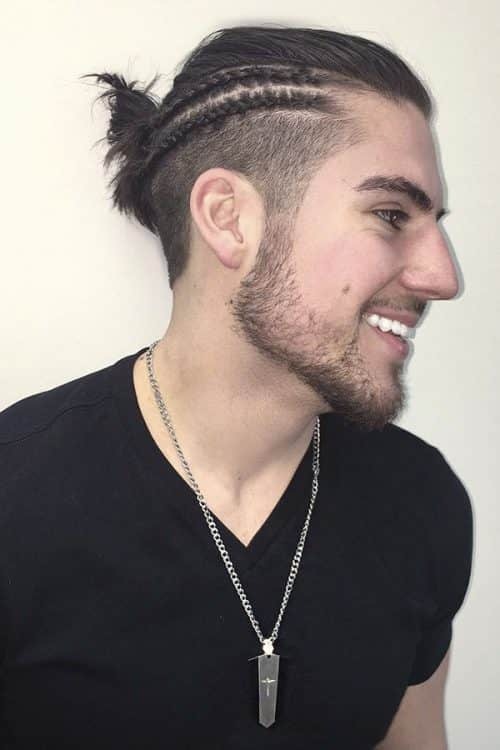 When we speak of hairstyles for men braids offer the best examples. Even though sporting a man French braid may be quite a common decision, nothing can compare to the comfort that the style gives to a wearer. And if you want it to look unique, you can try to freshen it up with a new color on the ends. Besides the unbearably eye-catching looks, dreadlocks hairstyles also embrace some cultural vibes. If you’re into the style, congrats! There are lots of ways to achieve the look: from crochet braiding to freeform locs method. Now you know why man braids are so popular today: they’re an attention-grabbing and classy way to experiment with medium to long hair styling. 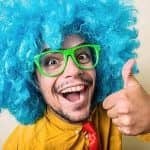 With our today’s ideas and tips, you can easily recreate the hairstyles you see on famous musicians and sports players. Go and give one of the styles a try!